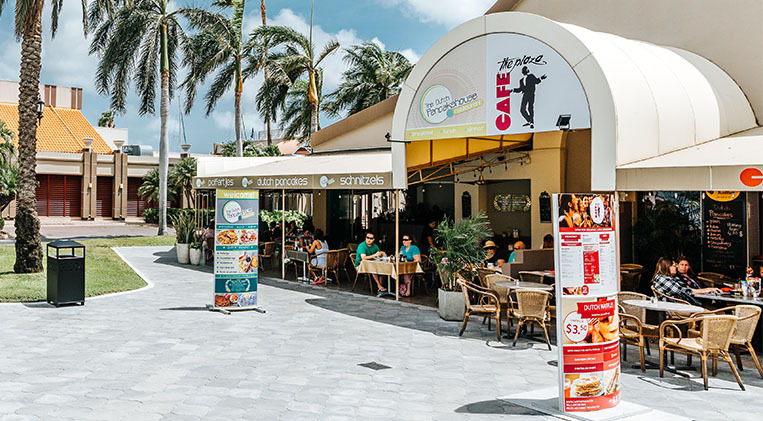 Café the Plaza is located at Renaissance Marketplace in Oranjestad. It is not only the perfect location to enjoy a meal or to have drinks, but also the ideal place to relax and unwind, read the newspaper or to have a swinging night out on the weekends. Café the Plaza has a large outside patio area with daily live entertainment. The menu is extensive and always has something to offer for everyone to like. From breakfast to lunch to a superb exclusive evening meal, or just a little bite to go with your drinks.